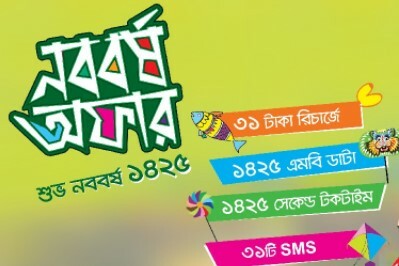 To activate the Teletalk Pohela Boishakh 1425 MB + 1425 Second Talktime + 31 SMS @ 31 TK Offer 2018, customers need to Dial USSD Code *111*31# or recharge exact 31 Taka. The Validity of Teletalk Shuvo Noboborsho Offer 3 Days and validity starts from offer activation day. To check the remaining balance of Teletalk Boishakhi Bundle Offer 2018, just dial *152#.